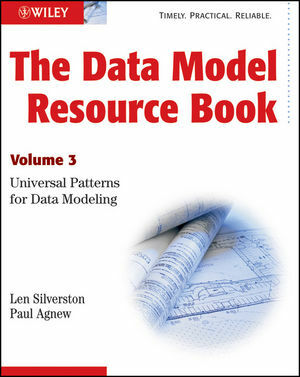 Len Silverston is the best-selling author of The Data Model Resource Book (Volumes 1 and 2), a speaker and data management consultant with more than 25 years of experience helping organizations integrate their information and systems. He is the owner and president of Universal Data Models, LLC. Paul Agnew is an author and consultant with more than 17 years of experience in the data management field in many different industries. He is an expert in data modeling, architecture, and integration. He is a senior partner at Universal Data Models, LLC (www.universaldatamodels.com). Chapter 2 Setting Up Roles: What Parties Do. Chapter 3 Using Roles: How Parties Are Involved. Chapter 4 Hierarchies, Aggregations, and Peer-to-Peer Relationships: The Organization of Similar Data. Chapter 5 Types and Categories: the Classification of Data. Chapter 6 Status: The States of Data. Chapter 7 Contact Mechanisms: How to Get in Touch. Chapter 8 Business Rules: How Things Should Work. Chapter 9 Using the Patterns. Chapter 10 Socializing the Patterns.